What do you do to make your Spartan so shiny? That’s a question I am often asked and the answer may be easier than you expect. 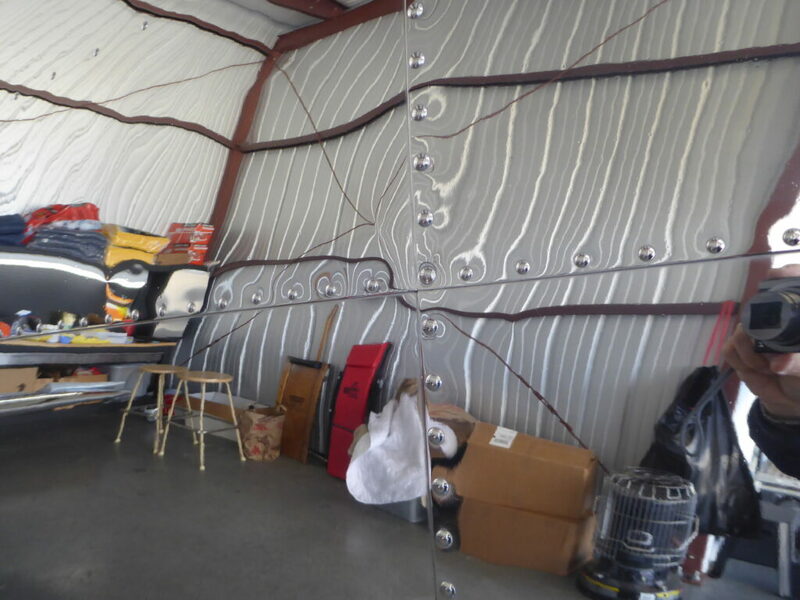 Obviously, it takes quite a bit of polishing, using quality polishing supplies and good polishing techniques. Most experienced metal polishers with bare metal airplanes already know that. 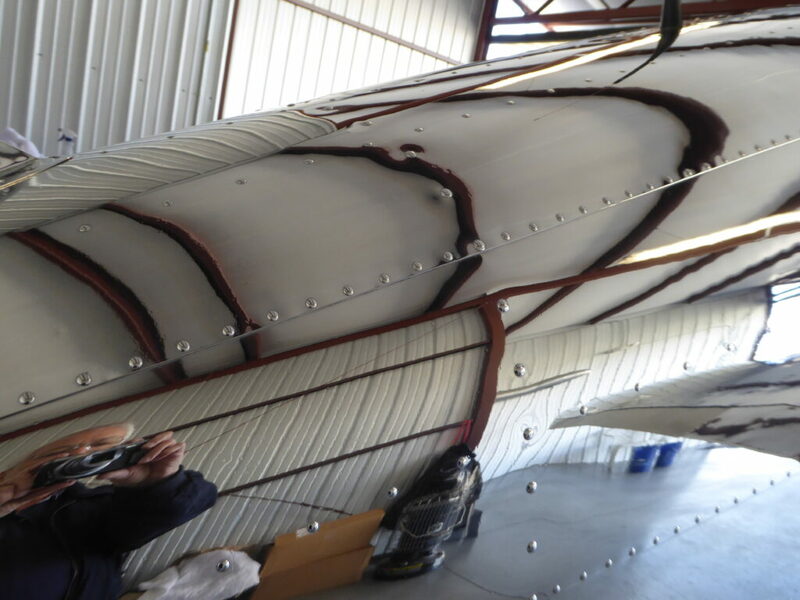 The missing piece has to do with how light behaves when it reaches the airplane. Specifically, it is either reflected or it is absorbed. 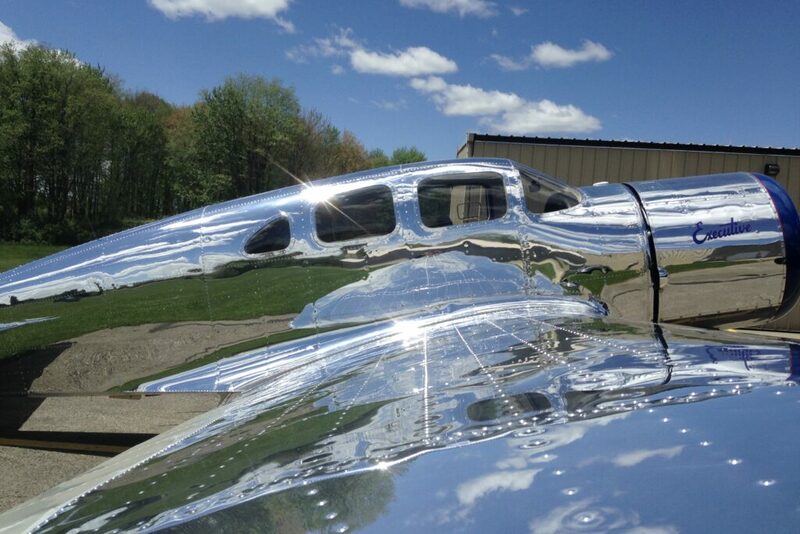 The more light that is reflected, the shinier the airplane appears to be. The trick is to eliminate anything that absorbs the light. 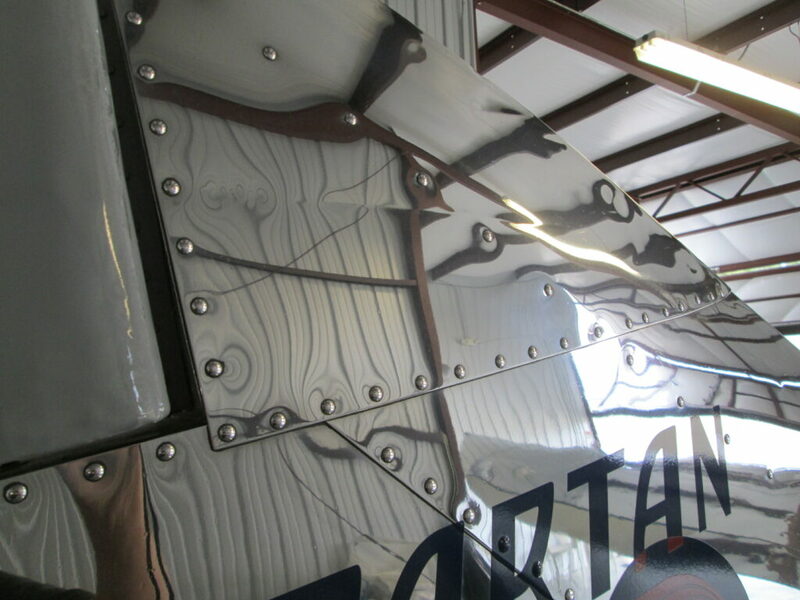 In the case of Spartan NC17634, it has minimal paint trim, so there is more surface available to reflect light. 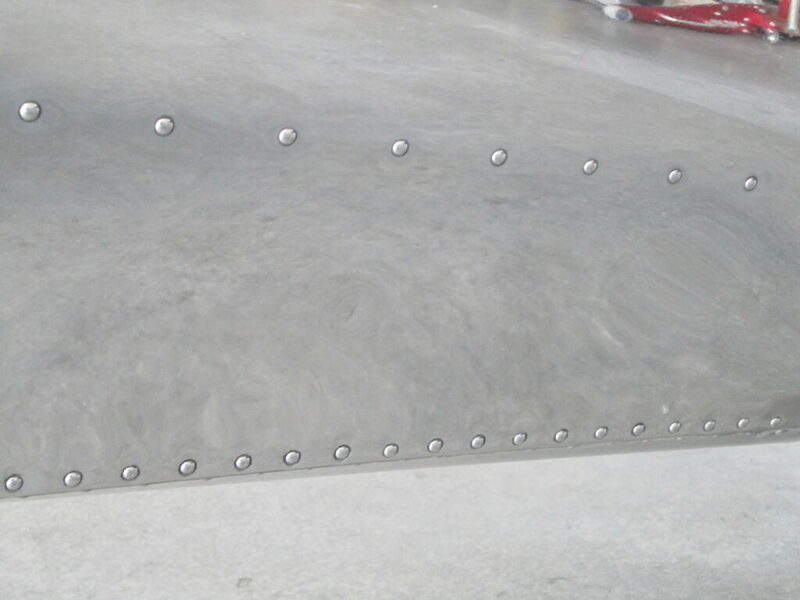 Of course, that holds true for many bare metal airplanes. 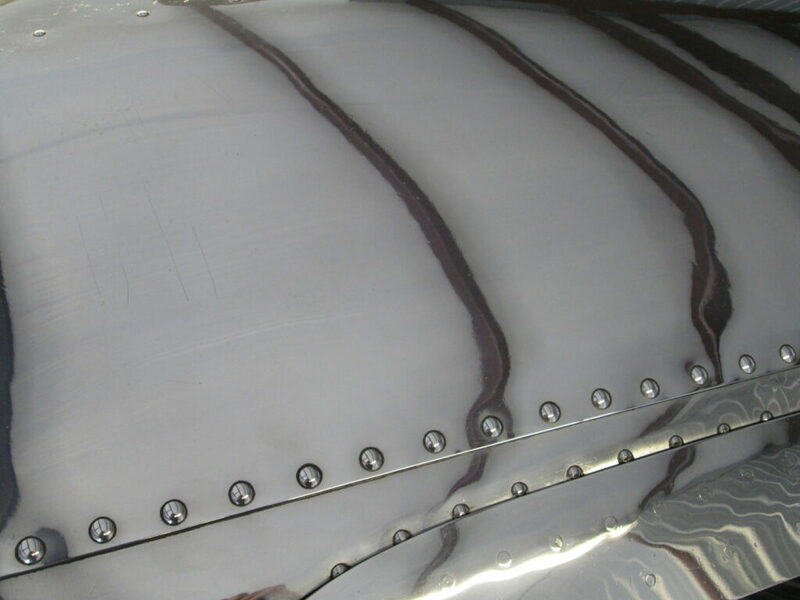 The other source of light absorption is the tiny black rings around each of the rivet heads. 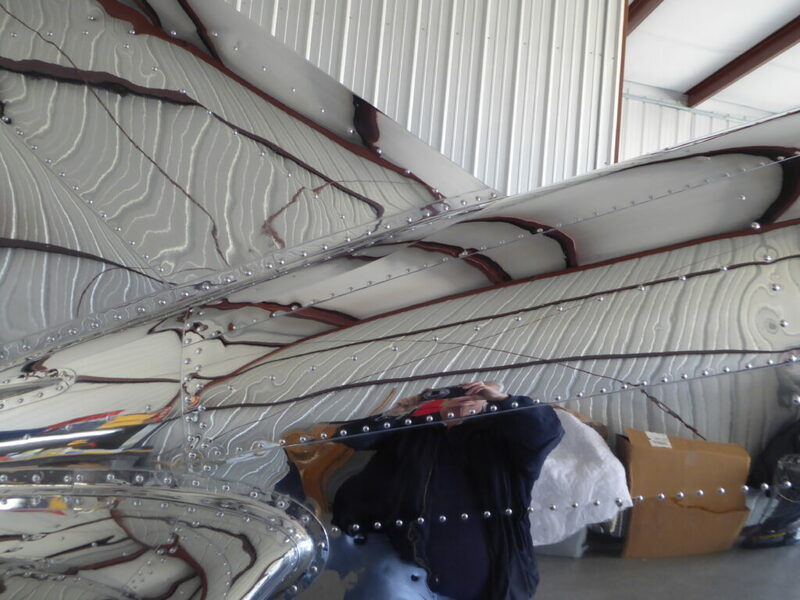 Although often unnoticed unless you are specifically looking for them, almost every bare metal has these light absorbing rings, including ones that have been judged as Grand Champions. 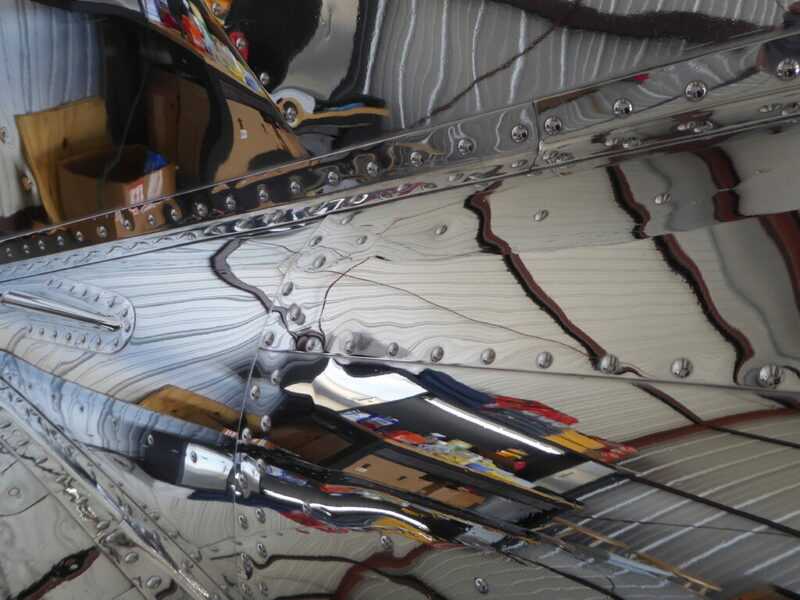 They originate during the normal polishing process and over time and many polishings, they slowly accumulate. With the passage of time, these rings become extraordinarily difficult to eliminate. 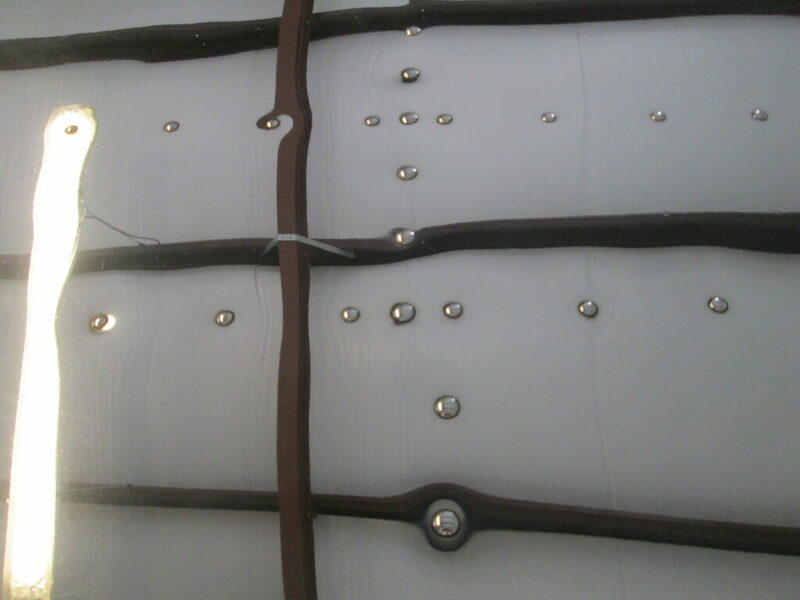 While a tiny black ring around a single rivet doesn’t seem like much, consider what the cumulative amount is if you have 9000+ polished rivets, as is the case with NC17634. To the best of my knowledge, there is no magic potion that easily removes the black residue. 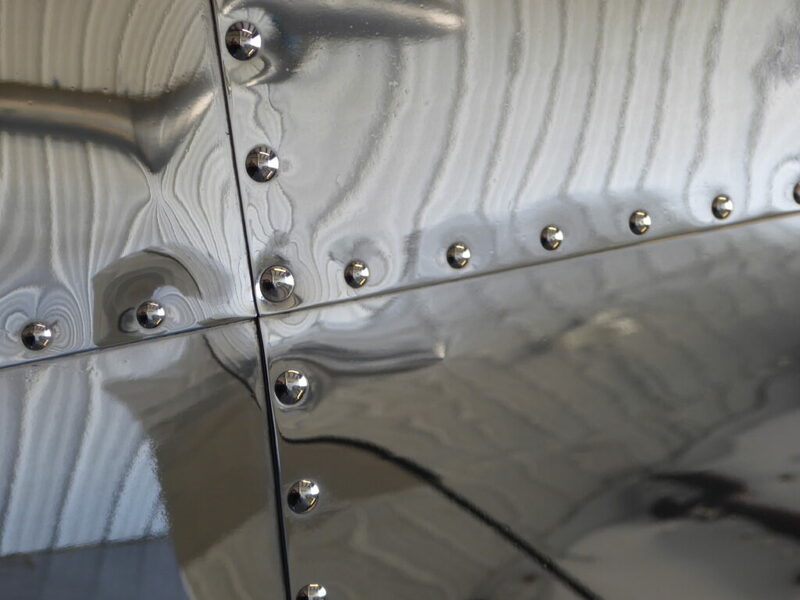 It is simply a matter of finding a process that works best for you and then proceeding, one rivet at a time. 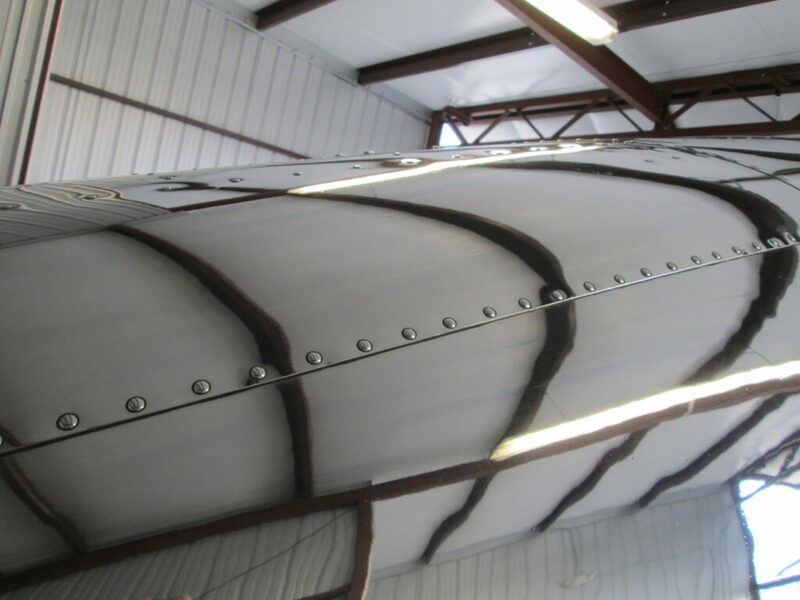 While the removal of all traces of black from every rivet of an entire airplane is a daunting task, the results are clearly noticeable. 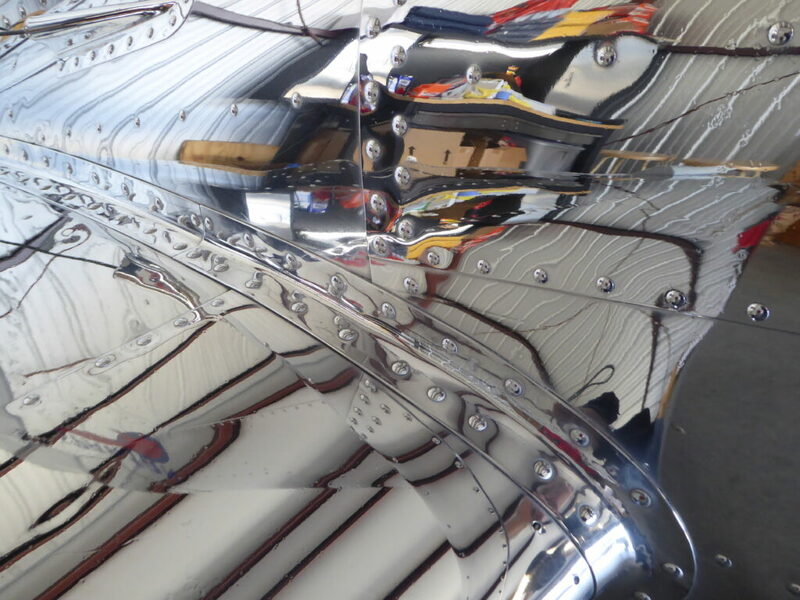 Here are some close-up pictures rivets on a 1939 Spartan Executive. 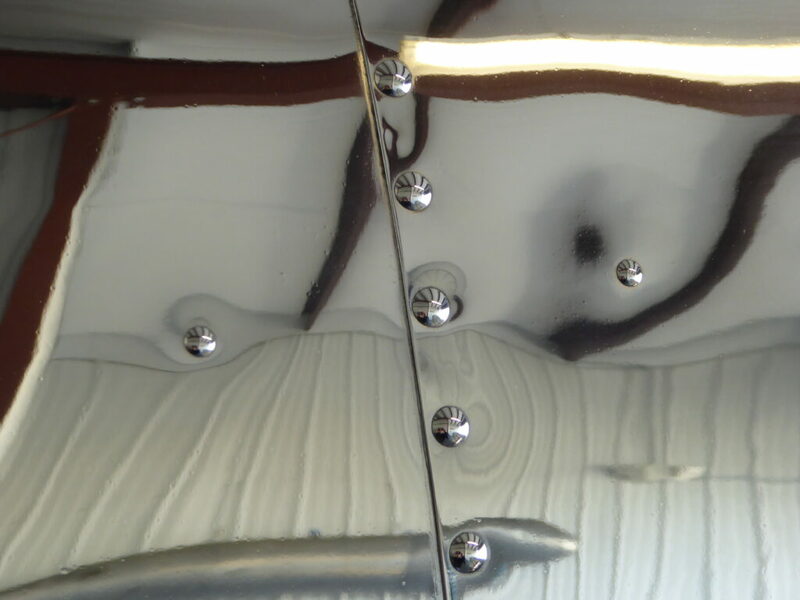 The first nine pictures show examples of what domed rivets with black rings look like on a highly polished airplane. 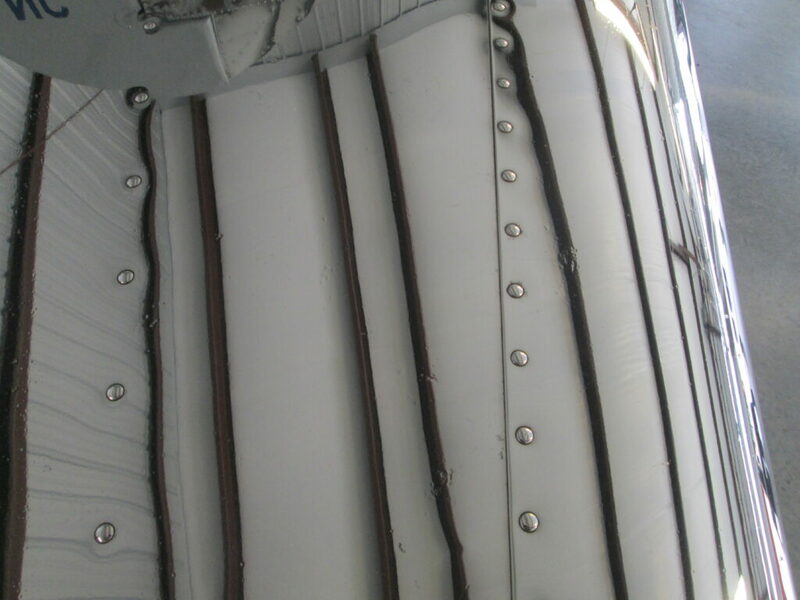 The next nine pictures show similar views of the same Spartan, after removal of the black rings. 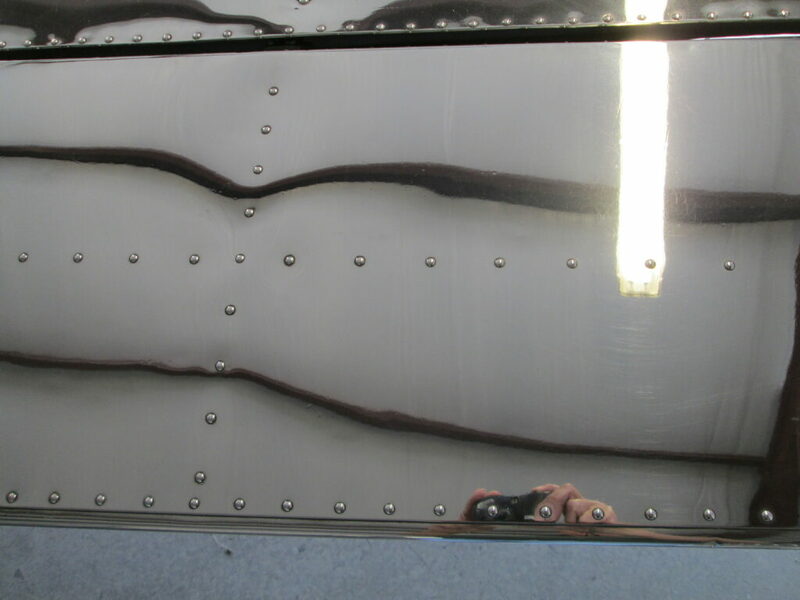 For those of you who are really, really curious about how long it took to remove all traces of black from the 9000 rivets on the Spartan, it is probably far more than you can imagine and likely far more than you will believe. 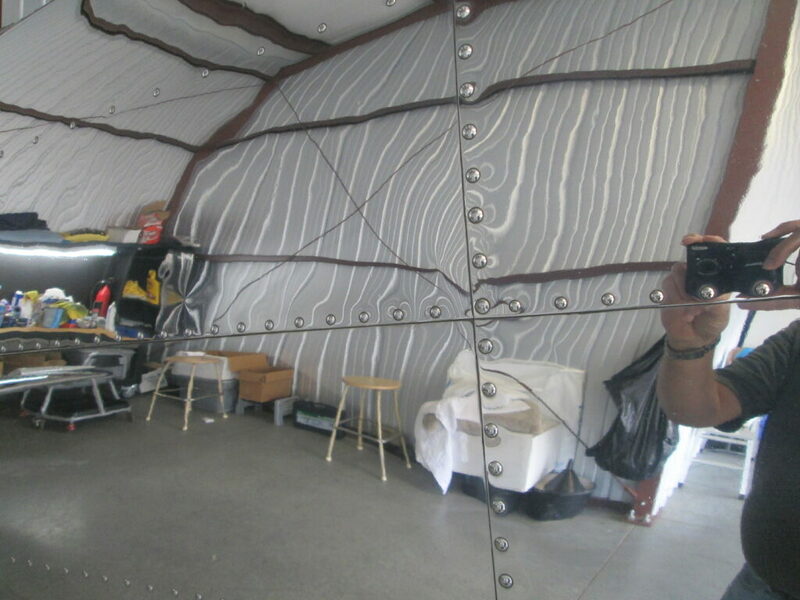 It took approximately 800 hours of effort but as the following picture shows, the final results can be stunning.